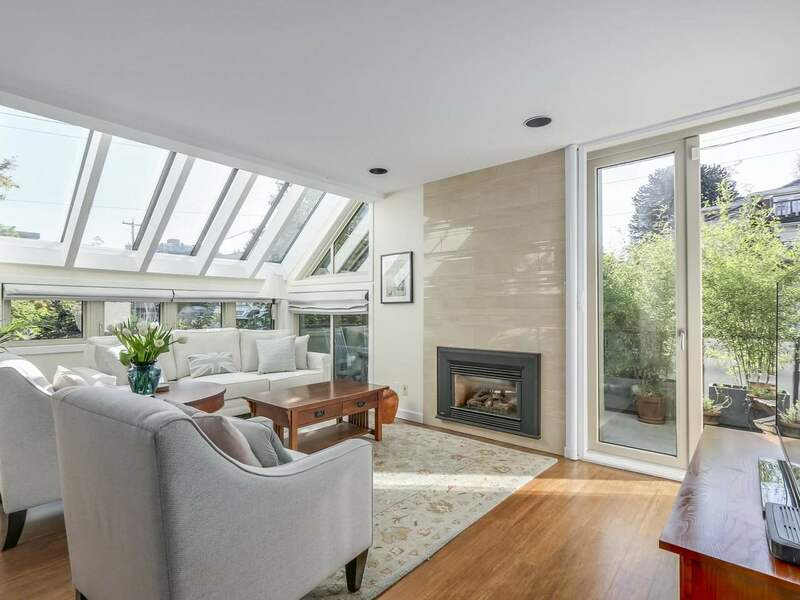 A happy and charming family home on large level lot in Shaughnessy. Main floor is graced with a spacious living and dining room plus a bedroom, a den and a kitchen with eating area for active family living. Up are 2 bedrooms plus a full bath. Down is a large rec room plus 4th bedroom. Huge sunny WEST facing sundeck off kitchen and dining room overlooking very private beautifully landscaped backyard. Double garage. This property enjoys the convenience of two lanes. One down the North side and one across the West side providing additional privacy and easy access to your home. Newer furnace and HW tank. Effective size of lot is 66’x 175’ approx. RS-5 zone. (NOT FSD) Close to sought after private schools. Oil tank removed and docs available. Showing by appointment only.